Nationals of VWP countries who have traveled to or been present in Iran, Iraq, Sudan, Libya, Somalia, Yemen or Syria on or after March 1, 2011 (with limited exceptions for travel for diplomatic or military purposes in the service of a VWP country). 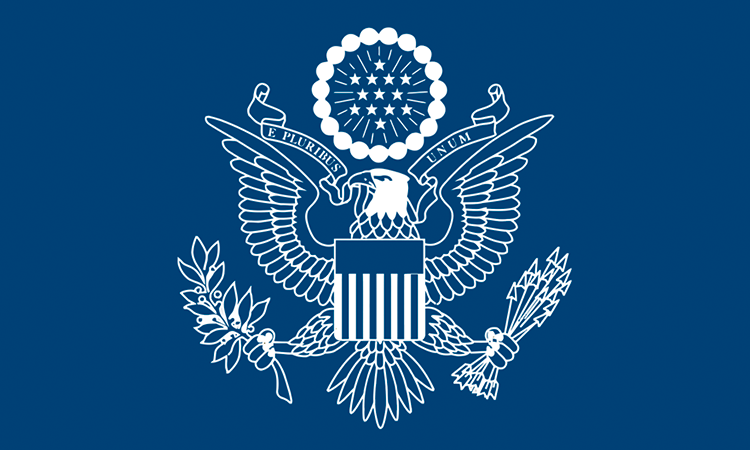 These individuals are still eligible to travel to the United States; however they must first apply for a visa using the regular process at a U.S. embassy or consulate. For those who need a U.S. visa for urgent business, medical, or humanitarian travel to the United States, U.S. embassies and consulates stand ready to process applications on an expedited basis. Beginning January 21, 2016, travelers who currently have valid Electronic System for Travel Authorizations (ESTAs) and who have previously indicated holding dual nationality with one of Iran, Iraq, Sudan or Syria on their ESTA applications will have their current ESTAs revoked. Read the full statement on the CBP website. Applicants should apply for their visas at least 4 months in advance of their intended date of travel. If approved, most visas will be stamped into the passport and delivered to the Empost location specified on your application in three to five business days following the day of your interview. However, in many cases a visa may be subject to additional processing. Visa processing can vary greatly in length, from a few days to months. The officer cannot predict how long the processing will take. Can I get an early appointment date for an urgent business meeting? A limited number of emergency appointments are available to those with business travel that must occur prior to the scheduled appointment date. Applicants requesting emergency appointments will be asked to submit documentary evidence for the urgency in travel. Please visit http://usvisa-info.com/ for more information. How does a visa officer decide who gets a visa to the US? A visa officer assesses applicants’ academic, family, social and economic ties to their place of residence to determine whether to issue a visa. Most visa refusals are not permanent. You can apply again when you can demonstrate a change in your situation. How can I “renew” my visa to the U.S.? What can I expect on the day of my interview? You should arrive at the U.S. Consulate at your scheduled appointment time. For directions, please click here. Visitor parking is located at the intersection of Khalifa Bin Zayed Road and Al Seef Road.The Consulate guards and local police will guide you through a series of security checks. You must not be allowed to enter the Consulate with large purses, bags, and electronic equipment (including mobile telephones). These items will be left outside the Consulate and will be returned to you once you have finished your interview. When you arrive in the visa waiting room, you will be directed to a counter where you can submit your application materials. If your application is incomplete, you will be sent away to complete your application and reappear at the Consulate before 11:00 am if you have a morning appointment and before 2:00 pm if you have an afternoon appointment. If you are unable to complete your application before the allotted time, you will not be readmitted to the Consulate and will have to reschedule your appointment for another day. If your application is complete, you will be given a number, directed to fingerprinting, and then directed to a line in front of an interviewing window or asked to sit in the visa waiting room until the number is called. If you are asked to sit, because of applicants’ wide variety of language/translation needs, visa types and paperwork requirements, numbers cannot be called in perfect order. However, we do try our best to ensure that applicants are called for their interview in the approximate order in which they submitted their visa applications at the intake window. Applicants may be at the Consulate as late as 11:00 for a morning appointment or 2:00 for an afternoon appointment on the day of their interview, and we ask that you plan accordingly. How do I change my appointment time/date if I forgot to record my confirmation number? Instructions on how to change your appointment or attain additional details can be found at: http://usvisa-info.com/. Can I make a visa appointment in Abu Dhabi if I live in Dubai? Citizens/Residents of the United Arab Emirates are welcome to apply in either Abu Dhabi or in Dubai. I’m on vacation in Dubai. Can I make a visa appointment in Dubai if I am only visiting as a tourist? There is no official policy banning non-residents from applying for US visas. However, we strongly encourage you to apply where you keep your permanent residence. The visa officer must assess your family, social and economic ties to your place of residence, and this is very difficult to do from outside your own consular district. The likelihood of visa issuance is generally higher when applicants apply in their own consular district. I was refused for a visa. What can I do? Applicants are free to apply again at their discretion, but are strongly encouraged to wait until they can show significant changes in their family, social and economic ties to their place of residence and/or changes in their travel history. 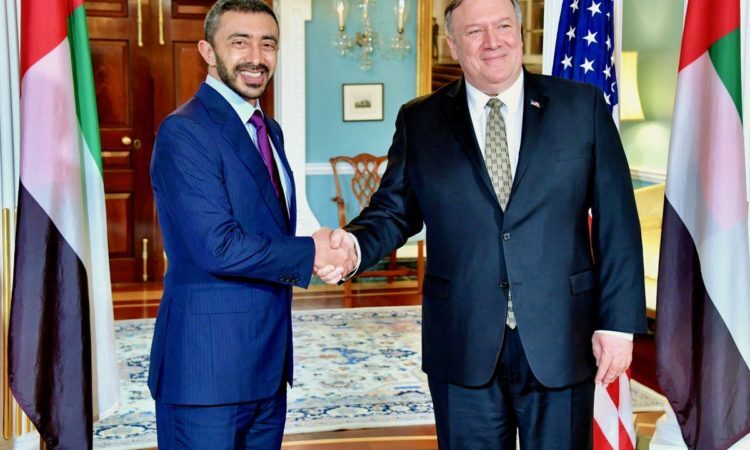 In the reapplication process, applicants must provide new and convincing evidence of ties to the UAE, as well as any new evidence that they clearly intend to depart after a temporary period in the United States. Please be reminded that the fee charged is a “processing” fee, which is non-refundable whether or not a visa is issued. Because the officer at the subsequent interview needs to see new and compelling evidence, reapplying immediately after a visa refusal may not result in a visa issuance. The visa officer refused me without even looking at my documents. Why? The visa officer can gather information sufficient for a visa decision from the extensive visa application forms and from the interview itself. If the officer wants to see additional documents, he or she will ask for them at the interview, but they are not always necessary to make a visa decision. I want to work in the US. How should I get started? Once you have an offer of temporary employment, the American company should petition the U.S. Citizenship and Immigration Service. Once the petition is approved, you will receive an approval notice, you can apply for a temporary work visa by making a normal appointment http://usvisa-info.com/. During the interview, the officer might ask to see one or more of the following documents, preferably translated into English. These documents that may assist an applicant in demonstrating their qualifications and intent to return. Please be aware that documents only support a visa application and may not be requested during the interview. A visa is neither issued nor refused based solely on documentation. We have a photo booth in the consular waiting room that you can use if you need a current photo. Note that you will need 40 dh in exact change. How do I find information on my green card, immigration petition, adoption, or fiancée visa? My spouse or children are in my passport. How should I apply for them? Every person appearing for an interview (UAE residents between 14 and 79 years of age, and Iranians of all ages) must make an online appointment regardless of whether they share a passport. Each child or adult who is applying for a visa needs his or her own application forms, photographs, and fee payment receipt from the Emirates Post. Are there any special considerations given to friends, relatives, fiancées or spouses of American citizens? No. All visa applicants are subject to the same rules and processing. A visa officer assesses an applicant’s family, social and economic ties to his or her place of residence to determine whether to issue a visa. Most visa refusals are not permanent. You can apply again when you can demonstrate a change in your situation. When my visa is ready, should I drop off or pick up my passport in person? Visa applicants should NOT come to the U.S. Consulate to drop off or pick up a passport. For both dropoff and pickup, go to the Emirates Post location you specified in your application. If you are dropping off, allow five to seven days for your passport to be returned to the same Emirates Post location. If you are picking up, Emirates Post will message (SMS or email) you when the passport is there. You may delegate anyone to drop the passport off or pick it up for you. How long will my visa take to be issued? Visa processing can vary greatly in length, from a few days to a few months. It is recommended that applicants apply at least four months before their intended date of travel. The consulate strongly recommends against purchasing non-refundable airline tickets until the visa is approved and stamped in your passport. How long will I wait for my interview on the day of my appointment? Security at the U.S. Consulate General is very stringent. Applicants can expect to go through several security checks and a face a significant wait in the visa waiting room. Applicants may be at the Consulate General as late as 11:00 for morning appointments and 2:00 for afternoon appointments on the day of their interview, and perhaps longer during the busy summer season. Should I bring my children to the visa interview? All applicants, children and adults, must have their own online visa appointment. Parents may apply for children under 14 years of age by making an online visa appointment and appearing for an interview on their behalf. Children under the age of 14 who are resident in the UAE do not need to be present* at the Consulate for their visa interview. The parent can represent the minor child; however they must have their own DS-160 application and a scheduled appointment. Who Qualifies for Personal Appearance Waiver? Attention Citizens of Iran, Syria, Cuba, and Sudan: ALL Citizens of Iran, Syria, Cuba, and Sudan must apply in person regardless of age or residency. Most applicants are required to appear in person at the Consular Section to apply for a U.S. visa. However, applicants under 14 and over 80 are generally exempt from this requirement. However, applicants under 14 and over 80 are generally exempt from this requirement. However, applicants under 14 and over 80 are generally exempt from this requirement. Applicants under 14 or over 80, who are legal residents of UAE with valid residence permits (UAE residence visa or Emirates ID card). Note: Residence permits are not required for UAE nationals. A copy of one parent’s and the applicant’s own residence permits for the UAE (UAE residence visa or Emirates ID card). Not required for UAE nationals. If the parents’ visas were not issued from Dubai, applicants may optionally provide salary letter and/or copy of bank statement. If we cannot assess the parents’ circumstances in the UAE with the information provided, we will request an interview. The applicant’s own residence permit for the UAE (UAE residence visa or Emirates ID card). Not required for UAE nationals. When will my visa be ready and how will I receive it? Upon approval, most visas will be stamped into the passport and delivered to the applicant by Empost courier service in two to three business days following the day of your interview. There is no pick up directly from the U.S Consulate. Please note that in many cases a visa may be subject to additional processing. Visa processing can vary greatly in length, from a few days to a few months. The officer cannot know how long the processing takes. For this reason, the U.S. Consulate strongly suggests that you apply at least 4 months in advance of your intended date of travel. I am taking my domestic servant to America. Why do I have to complete the Domestic Servant Contract? U.S. labor law requires personal domestic servants (nannies, butlers, cooks, drivers, caretakers, etc.) be paid by U.S. salary standards while they are in the United States, which is generally higher than the salary offered in the UAE. For this reason, employers should carefully consider whether they can afford to bring their domestic servants to the US. The legal minimum wage varies from state to state. You should check the minimum wage law for the state you are visiting to calculate the correct salary that you must pay your domestic servant while he or she is in the U.S. The Domestic Servant Contract, which is required for all domestic servant visa applications, is the employer’s pledge to the U.S. government that he or she will pay the domestic servant in accordance with U.S. labor law. Employers who fail to do this will not be allowed to take domestic servants to the U.S. in the future and risk having their own visas cancelled or refused. The employee must be paid the legal minimum wage for the state and city in the U.S. that you are visiting. The hourly wage (dollar amount per hour of work) must be listed on the contract. The hours that the employee will work daily must be listed on the contract. The days of the week that the employee will work must be listed on the contract. The rate of overtime pay must be listed on the contract. The contract must be translated into a language that the employee can read. Applicants with previous travel to the U.S. will be requested to provide proof of salary payment on previous trips, so be sure to record payments in detail using cancelled checks, bank statements or signed receipts. You may apply without these documents, but issuance of the domestic servant visa is at the discretion of the visa officer. Is there an Arabic translation available? Yes. Most of the instructions and the text displayed on the pages of the application have been translated. You may view the translation by positioning your mouse cursor over any group of text displayed on the page. No. All application answers, except proper names and addresses, must be in English, using English characters only. Applications that are submitted in any language other than English may be denied, and you may be required to submit a new application. Are all fields on the DS-160 mandatory? Most fields on the DS-160 are mandatory. You may leave fields marked “Optional” blank. Some fields may also give you the option to select “Does Not Apply.” If that field does not apply to you, you may mark the box next to “Does Not Apply.” All other fields must be completed: the application will not allow you to submit a form with any mandatory fields left blank. In this instance, an error message displays and you are required to complete the field before continuing with the application. If you do not answer questions that apply, your form may be rejected. Please fill in a number estimating your monthly income if you are not salaried, rather than checking “does not apply.” If you check “does not apply,” the visa officer will ask you for an estimate during the interview and may ask for some documentation. What should I enter in these fields? Personal Information: Full name in native alphabet: Type your name in your native script. Passport Information: Passport number: Enter the passport number as it appears in your passport. Intended date of arrival in U.S.: Enter the date when you are planning to visit/go the US if the visa is approved. Intended length of stay in the U.S.: Select the length in accordance with your plans. Address where you will stay: If you have an address where you will stay, enter it here. Previous U.S. Travel Information: Have you ever been in the U.S.? If your answer is YES, then provide information on your last 5 U.S. visits, including date of arrival in the U.S. and your length of stay, entering the information as accurately as you can. Have you ever been issued a U.S. Visa? : If your answer is YES, enter the visa number you used to travel. The visa number is the number is typed in red on the right side of the visa. For lost or stolen visas, if you do not know the visa number, check the “Do not know” button for the visa number. Point of Contact Information: Contact person: Enter the name of your contact in the U.S. If you do not have a contact in the U.S., check the box “Do Not Know” and in “Organization Contact” enter the name of a place that you will visit either for business or pleasure. Address and phone number of point of contact: Enter the address of your contact in the U.S. If you checked “Do Not Know” to this question, enter the address of the place that you entered in the “Organization contact” question; for the phone number, enter all “9’s” if you do not know the phone number. Family Information: Relatives: Enter your father’s and mother’s names, even if they are deceased. Enter the names of all family members who are residing in the U.S. (regardless of legal status) or who are American citizens or legal permanent residents, even if they do not live in the U.S. Present Work/Education/Training Information: Monthly salary in local currency: Enter your salary before deductions. If you do not receive a fixed salary, you must enter an estimate of your average earnings for a month. If you are a business owner, you should enter an average amount of net income you receive from the business after expenses. If you receive a pension, enter the amount of the pension. Additional Work/Education/Training Information: Have you traveled to any countries within the last five years? : Include any travel outside of your home country, including travel to the U.S.
Security and Background: Criminal Information: Have you ever been arrested or convicted of any offense or crime? Include all arrests or detentions, including those at the border and by Customs and Border Patrol. Security and Background: Immigration law Violation Information: Have you ever been unlawfully present, overstayed the amount of time granted by an immigration official or otherwise violated the terms of a visa? : Include any time that you were in the United States illegally or without permission. Location Information: Did anyone assist you in filling out this application? : If your answer is YES, that person must complete the preparer information section, even if the person assisting you is a family member. The DS-160 will “time out” approximately 20 minutes after the application has been idle. The “time out” is designed to protect your privacy. If the application times out, all the data that has been entered and not saved will be lost. In order to guard against possible “time out” issues, you should save the application at regular intervals while you are completing the application. Why does the confirmation page have an “X” in the box where the photo should be? The photographs must measure 5 cm x 5 cm. The photographs of the applicant’s head must be between 2.5 cm and 3.5 cm when measured vertically. The photographs must be in color and have a white background. What are the digital and composition requirements for the application photos? In order to safeguard the traveling public and utilize the latest biometric identification techniques, all applicants for American non-immigrant visas must present full-face photographs, taken against a white or off-white background, showing the entire, uncovered head. Applicants who wear a head covering or hat for religious reasons may continue to do so, but only if that head covering does not obscure any portion of the face. The photograph of each visa applicant must be an unmounted full face photo, taken within the past six months, 2 by 2 inches square, in color against a white background. Sunglasses or other paraphernalia, which would detract from the face, are not acceptable. A photograph of a person wearing a head covering is permitted, provided that enough of the face is uncovered to establish identity. A photograph of a person wearing a traditional facemask or veil that conceals portions of the face and does not permit adequate identification is not acceptable. Since a separate visa is issued to each qualified applicant, an individual photo is required in all cases. Group photos are not acceptable. It is particularly important that the photo be recent and clearly in focus. It is vital that the background be white or off-white. Photos taken in front of busy, multi-colored, patterned, or dark backgrounds will not be accepted. A “full face” photo is one in which the applicant is facing the camera directly. The applicant should not be looking down or to either side. The face should cover about 50 percent of the area of the photo. It is preferable that the ears be exposed. The key requirement is that the photograph clearly identifies the applicant. The photograph should measure 2 inches square (roughly 50 mm square) with the head centered in the frame. The head (measured from the top of the hair to the bottom of the chin) should measure between 1 inch to 1 3/8 inches (25 mm to 35 mm) with the eye level between 1 1/8 inch to 1 3/8 inches (28 mm and 35 mm) from the bottom of the photo. You can not submit a photo of yourself wearing glasses. Photos of members of the military, airline employees or other personnel wearing hats are not acceptable. Digitally-altered photographs will not be accepted. This includes alterations of color or pattern in the background of the picture. Photographs that are out-of-focus, air-brushed or otherwise substandard will not be accepted. Digital photographs must be of sufficiently high resolution that the pixels are not visible. Why did the edits I made from the review page “edit” link not save? YES! You should, if you can, save your application locally (to either your hard drive or a CD) before you submit your application. Saving your application locally is beneficial in two ways. First, if your application is rejected by the Consulate or Embassy for being incomplete, i.e., your application contains nonresponsive answers or you failed to answer a critical question, you will be able access your saved application data, correct the nonresponsive or incomplete answers and submit the corrected application without having to complete an entirely new application. Second, if you are a frequent visa applicant, you can update your saved application the next time you wish to apply for a visa and submit the updated application. This will save you time by not having to reenter information that has not changed since the last time you applied. If I use the option on the “Thank You” page to create a family or group application, can I modify the data automatically populated by the system? For other DS-160 Frequently Asked Questions, click here. The U.S. Consulate also recommends correspondence by e-mail at https://dubainiv.net/VARS/. Please allow up to 3 business days for a response. When inquiring about a visa case, please provide the applicant’s complete passport or case number to facilitate retrieval of the case. Due to privacy restrictions, we can only provide case status information to the visa applicant directly.